Photovac Laser Worldwide is now offering an incipient way to operate your Synrad Laser. Photovac Laser Worldwide is introducing Synron User Professional and Synron User Fundamental user interfaces for all brands of Synrad Co2 lasers. Our adjustable laser pulse frequency, laser pulse width control system will work with all Synrad 48 Series, V Series, TI Series, F Series, VI Series, I Series and Pulstar Series lasers. Some limitations due apply. Synron User Professional and Synron User Fundamental can be utilized in immensely colossal factory automation conditions or your local mom and pop stores. Photovac is the US leader in Synrad Laser integration into preexisting systems or newly automated systems. Synron User Professional is a plug and play adaptive way to control your Synrad User Series laser. Synron User Professional provides the laser operator with the wide range functionality for adjustment of laser pulse frequency, laser pulse width and gating control up to 20KHZ. All features and adjustments at your hand while being monitor by our touch control monitor, tablet or cell phone. Laser Pulse Frequency is how rapidly the Synrad laser pulses on and off while also being controlled by your adjustable pulse width, while at the same time gating the amount of laser pulses with your external pulse modulation up to 20KHZ. Easier said, if you have a laser pulse frequency of 5KHZ and you increase it to 10KHZ, your pulse output will be twice a close to each other up to the limit of the lasers duty cycle. Most every pulse width modulator on the market either limits the laser pulse frequency to 5KHZ, 10KHZ, or 20KHZ. Pulse width modulators do sanction variable pulse width control with inhibitions. There are additionally circumscriptions by the lasers duty cycle. Gating of Synrad lasers (on/off pulses) can be varied between 5khz to 100KHZ. Controllers buss data that is providing these features become saturated after 9600 HZ the prevalent baud rate of most controllers. This would be the case of Synrad’s UC2000 controller. After 9600 HZ the controllers simply become dormant due to the diligent buss addressing of the 8 bit computer chip. With Synron User-Professional we have eliminated buss addressing due to the rapid cycles of gating control. Synron User Professional sanctions the user to adjust pulse frequency control between 1HZ and 20KHZ sanctioning the user extreme flexibility all by the physical contact on a monitor. With astronomically immense pulse frequency variance at your command, your pulse width control (actual on time of laser) is additionally variable with a wide range of settings. Remember the laser duty cycle or amount of power the laser can provide is directly effected by these settings with a maximum duty cycle of 37.5% (Synrad P150). Some lasers offer up to 60% duty Cycle, while others sanction 40%. Please consultant the manufactures designations for duty cycle limits. Pulse width control variance is a huge advantage with the other factors fore mentioned. Synron User Professional allows pulse width control from 1 millisecond up to 999 milliseconds or 1 second. Once again you can vary your laser pulse frequency with great latitude, along with your pulse width up to the lasers duty cycle limit. All of your adjust features are available on our monitor, tablet or cell phone. Synron User Professional exhibit features so you how much average power(watts) your Synrad laser is producing with your screen settings. You must have Synron User Power Monitor for this feature and may be purchased as an add-on. Photovac Laser as a systems integrator is able to acclimate your preexisting laser or incipient laser with the Synron User Power Monitor feature. There are conspicuous requisites for power adaptation and we would be ecstatic to work with you to provide this highly enhanced feature. Synron User Professional has the availability to monitor Meanwell power supplies while in operating with your Synrad laser. Synron User Professional exhibits voltage and current of your Synrad lasers power supply. This feature can reassure your Synrad laser is running at optimal voltage and current settings. Synron User Professional offers the user to monitor and adjust your Synrad lasers power setting from a local remote (WiFi-required) using our software for a tablet or cell phone. Our software will easily integrate to any Android tablet or cell phone. This feature is only available with Synron User Professional software and not Synron User Fundamental. Synron User Professional offers the user to monitor and adjust your Synrad lasers power setting from a local remote (WiFi-required) utilizing our software for a tablet or cell phone. Our software will facilely integrate to any Android tablet or cell phone. This feature is only available with Synron User Professional software and not Synron User Fundamental. Photovac Laser Worldwide is ready to integrate your incipient Synrad Laser into your preexisting system. We specialize in Micro Aperture Perforation for the food, ceramic and paper industries. Synrad Lasers offer unique 1/e2 beam profiles with the congruous set of optics, beam collimators and process heads are able to deliver apertures smaller than 100um with perfect circularity. Photovac Laser customers are always inquiring about Iradion Laser tube regas service. Please contact our offices and our representatives will be ready to help you with any questions regarding Iradion laser regas services. The all ceramic laser is special and requires gas and procedures to make it perform like manufactures specifications. Companies testing gas mixtures on your laser and “trying” to figure it out are just frankly fraudulent. 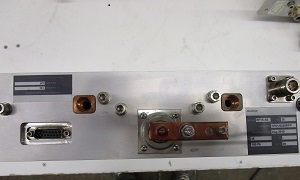 Photovac Laser has been repairing and remanufacturing Co2 lasers since 1994. Photovac Laser is the pioneer for 3rd party Co2 laser repair services in the industrial, commercial and medical field of Co2 lasers. Why would you go to someone that you don’t know and is “experimenting” with your laser? We have had dozens and dozens of customers that have said their laser was destroyed by companies that tried to regas their unit. Please see our laser rip-off report. The Laser-Rip Off report is written in the customers own words and published by Photovac Laser under our 1st. amendment rights. ! Ideal Jacobs sends thank you for Beam Dynamic Gantry Repair. To all of our valued Synrad Evolution and RF 3000 users. 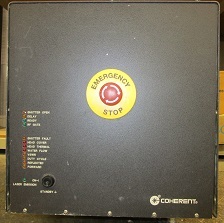 RF 3000 is used on many Synrad Evolution lasers including Evolution 100, 200 and 240 series lasers. 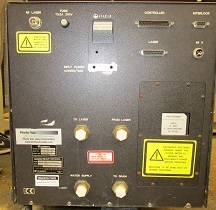 Photovac Laser is fully qualified and certified by Synrad Laser in the repair and maintenance of RF 3000. Our RF division Photovac RF Power performs 3 levels of comprehensive service. Level 1 is a comprehensive check up of the RF exciter and includes a replacement water kit. The kit consists of new bulkhead water fittings, flow switch and coolant line maintenance. Level 2 is our “minor” repair service that includes Level 1, plus minor repairs to digital and RF electronics. 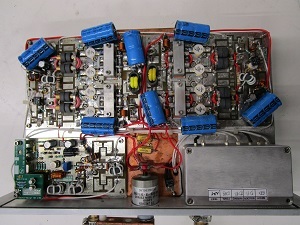 Level 2 is our “major” repair service, includes Level 1 and major component replacements to digital and RF electronics. All repairs include our industry leading 6-month warranty for material and workmanship.